We have a spoiler. A single spoiler, but I feel like it tells us quite a bit. 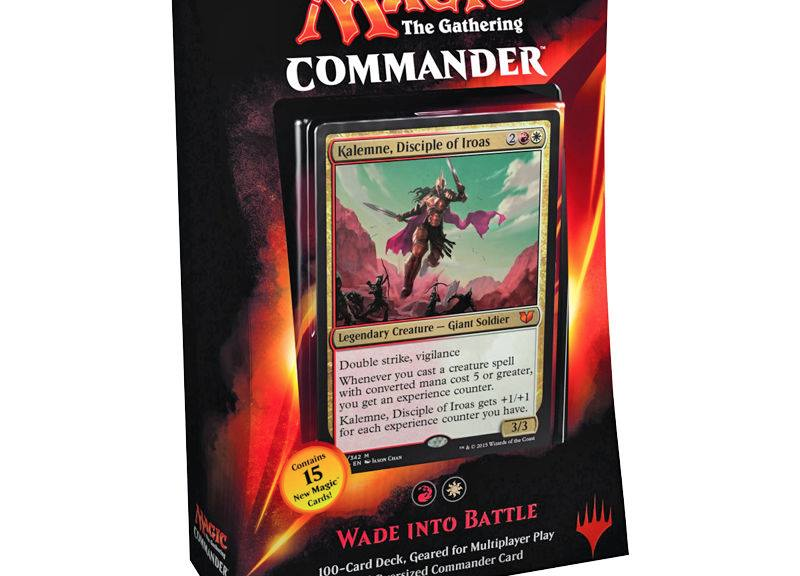 There are questions about the legitimacy of the spoiler and we don’t have official confirmation the leaked image is a real, but Mythic Spoiler ran with it and in general, the Commander product spoilers we have seen have been legitimate in the past. 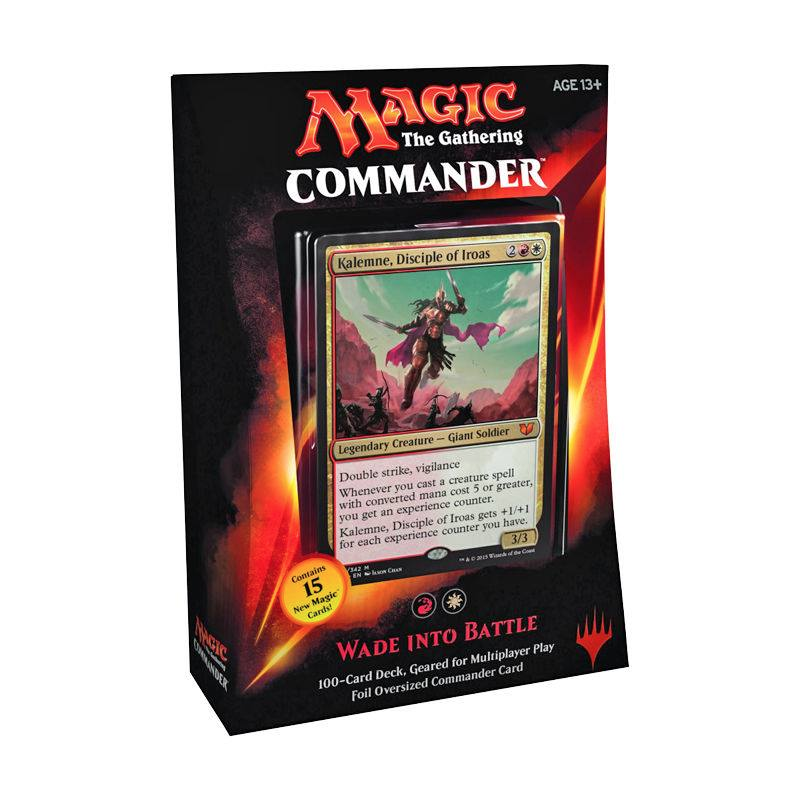 The image is cropped from a larger image that showed the box art, title of the deck and the Commander. I’m going to predicate what I say here on the assumption that this is legitimate. Prima Facie, this seems boring to me. This is going to replace aggro Boros Commanders rather than spawn a new archetype. Make no mistake, this guy is good, but I feel like he replaces a Commander rather than spawns a new deck. However, that might not be the best way to go. You could build a high casting cost deck around this card with angels and dragons and titans and primordials. I like the idea of the experience counters stacking no matter what they do to your commander. The trick is to somehow cheat. Proliferate is a thing, here. I have been bullish on Contagion Engine for quite a while and that seems like it could do some work here. 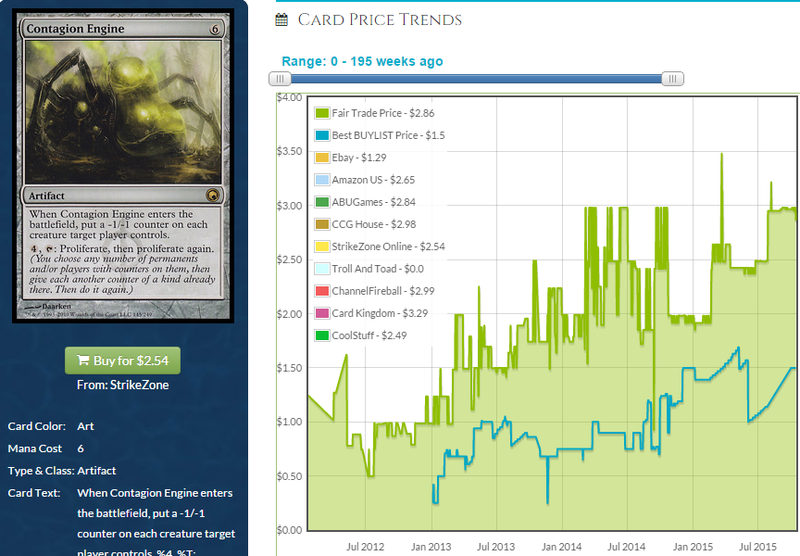 If it’s not reprinted (I imagine the Simic deck is the best place for it) this has a lot of upside. I’m predicating a lot of my predictions on the experience counters being a theme in every deck with each Commander having different conditions for stacking the counters and different rewards for getting them. Blue will be the big winner here with cards like Inexorable Tide, Tezzeret’s Gambit and even Thrummingbird. Still, artifact-based proliferate cards like Culling Dais, Contagion Clasp and of course, Contagion Engine can factor in to all 5 decks. Engine has a decent chance of a reprint, but if we don’t see it in any of the lists, there is real upside. That’s more general and hard to guess at for now. I don’t want to delve too deeply until Experience counters are confirmed for the other generals. For right now, Kalemne specifically is going to give some real upside to a lot of Boros staples if people build more decks. As far as triggering Kalmene, the sky is the limit. There are so many playable cards in red, white and artifact that it’s hard to say what will get upside because it’s entirely up to the builder. A few cards I think will be excellent choices for triggering Kalemne are Baneslayer Angel, Wurmcoil Engine and Molten Primordial. Any angel, dragon or big fatty will do, though. I did a quick gatherer search to show you the goods that are out there. There are a lot of ways to generate tokens in Boros and a lot of worthwhile creatures to trigger Kalemne’s abilities. He’s a big beater when you get some anthem action going and his Vigilance means he can defend you and kill most anything with a few experience counters augmenting his double strike. 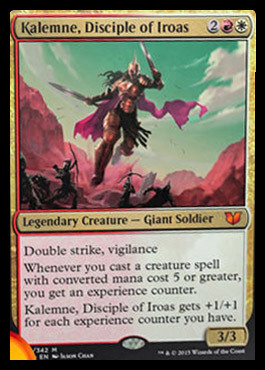 This card is boring in that Boros got just another boring aggro Commander, but there are a lot of possibilities and if you had an Iroas or Jor Kadeen deck, this might be a better choice. Either way, the rest of spoiler season should be intense.